It’s a no rocket science answer with the increase in number of events and registration fees every year along with business interests creating a need for running market in form of sports massages, nutrition, running gears, coaches, need for sport physios etc. These expenses are usually justified as Healthy Expenses that saves us from long medical bills owing sedentary lifestyle. Now that we are in the loop the choice is ours to keep running a low expense or fall to the marketing sabotage and blow our credit cards – especially coming from a middle-class family like me where at the start of every month we sit down and plan the monthly budget over a sheet of paper. So this piece of write up particularly to the cost conscious runners who run as I touch upon events, shoes, nutrition, and coaches. a. Javadhu Hill Ultra: A 100 KM registration fees at 1000 rupees with top quality organization, scenic/challenging course, post run food, stretches, well stocked up aid stations, and fabulous volunteers. Free overnight camping at the event venue. b. Chennai Trail Marathon: A 50 KM registration fees at 600 rupees on a dusty trail in Hot and Humid conditions by the same organizers as Javadhu Hill Ultra. Free overnight camping at the event venue. c. Auroville Trail Marathon: A full marathon at a registration fee of 700 rupees and comes with a lovely trail and great energy of the French community at Auroville. Post run BF included in the registration cost. Clean accommodation at Rs.500 for twin sharing available in the Ashram cottages if you book early. d. IDBI Mumbai Heritage Half Marathon (based on reviews of participants): A flawless event where the registration fees justifies the number of promo runs, free tee shirts, post run breakfasts etc. If you are a Mumbaikar, it’s a must do and for outsiders it’s definitely worth the time if you are looking for a flawless half marathon and 10K experience. 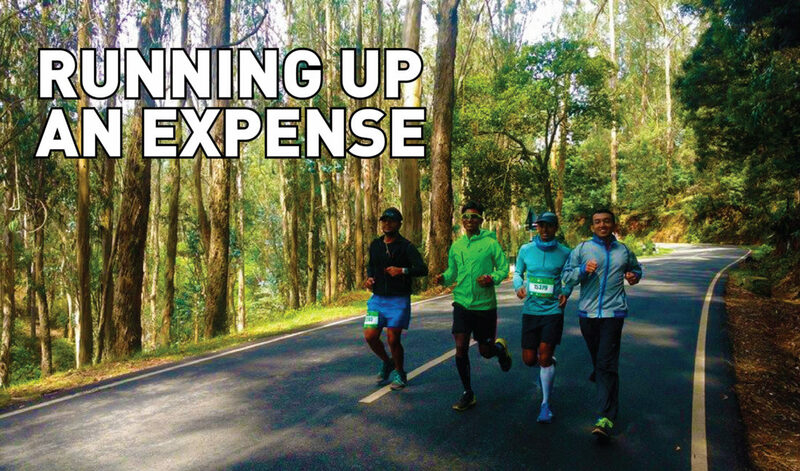 e. Bengaluru Marathon: A Full Marathon coming at a price of 1500 rupees approximately for this event is well worth given the promo run tee shirts, breakfasts, race-day customized tee shirt, finisher tee-shirt, and sumptuous breakfast. Moreover, the 5KM Fun Run is in and out Charity event where the proceeds of the registration costs minus internet handling charges goes to the charity partners. This aligns to the philanthropy of the event organizer and Race Director Mr. Nagaraj Adiga who is pioneering the running space in India at a whole new level. f. Airtel Hyderabad Marathon: Undoubtedly one of the best organized city marathons in the country in price range of 1500 rupees registration that includes race-day tee shirt, breakfast, and most importantly I repeat – the flawless organization given that the race-course is one way with no loops as you discover the city. h. The Wipro Chennai Marathon: The Full Marathon coming at a registration fees of Rs.975 this one organized by the Chennai Runners true to their words, “gives one an opportunity to experience the joy of giving. The event acts as a platform to galvanize support from the society towards donating for a cause. This year Isha Vidhya has come on board alongside United Way of Chennai as official charity partner for The Wipro Chennai Marathon (TWCM) that is held in December every year.” Despite a large money going to Charity, the Chennai Runners give you one of the best running experiences on a pretty flat course on a Sunday morning in Chennai. 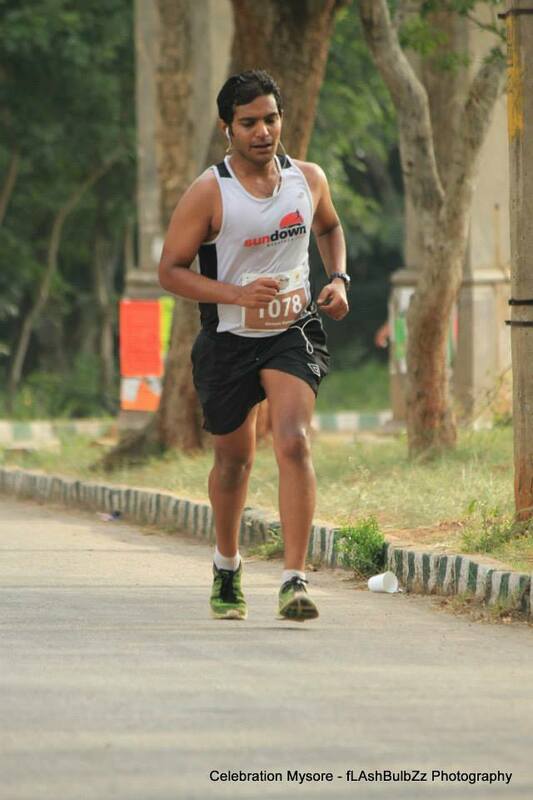 This is purely a Chennai Runners festival where all groups come together. Shoes: It makes me a giggle a bit when people spend 10000 rupees on a pair of over-priced running shoes, because I’ve been there and done that. 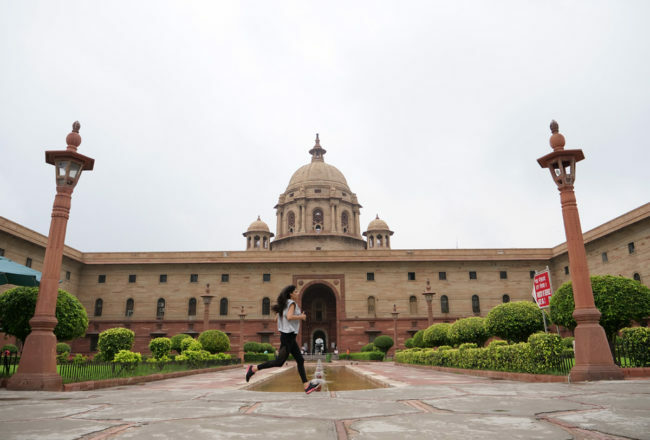 For the first two years of running I ran with shoes that costed around 2000 rupees and I was fine with until I was drawn towards the colorful marketing gimmicks where for another two years I spent over a 1500 dollars just on shoes – but nothing changed really. Tomorrow morning I can still pound out the same 10 KM on a comfortable shoe irrespective of the price of shoe and brand. To my own surprise even till date I haven’t got a gait analysis done and I have figured there are many very good shoes out in the market that come as slow as 40 USD which will do the job equally well in any given terrain. 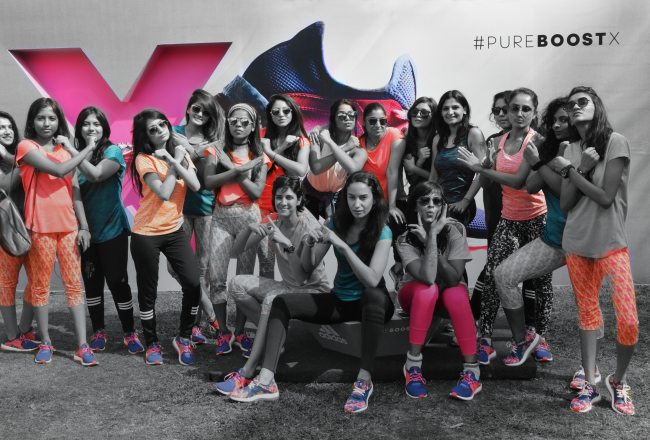 Get non-biased views to select your shoe, especially from those runners who are not loyal to a particular brand. Even more, you can even experiment barefoot running or use cheap thin soles with a thread that you get in Commercial Street if you want to experiment with minimalism and running. There is no hard and fast rule with it comes to shoes. Nobody give you the right footwear, it’s only you who can decide “the right shoe” with time and experience. Nutrition: With multiple brands talking about pre, post, and during nutrition it would be wise to choose something natural- by natural I mean the sort of nutrition that you need based on your body and that which can come out of your kitchen. Ultimately why would you in name of nutrition douse your body with preservatives, chemicals, and excess sugar? Never ever go by what is on FB or experts from a particular brand. Instead, talk to veterans, see what the primitive runners ate, talk to your nutritionist, and fuel your runs, workouts, and daily dose of nutrition based on your body requirements/deficiencies. Coaches: The questions; Who is a good coach? Is a good coach expensive? Somebody with a certification is a good coach? Somebody who runs fast makes a good coach? Well it takes time for you to figure it by yourself given your experiences and financial feasibility. Personally I’ve pondered around these questions. The only coach I’ve had is an Ironman who had raced in Hawaii for whose services I was shelling out 30 SGD per session of 60 minutes x 3 thrice/week for around 6 months. I think I learnt quite a bit of the running science but on a larger picture I could’ve done away considering the price that did not hit me then since I was earning in dollars in another country. However, if you are a beginner- there a few groups that train you for free on weekends in your city. In parallel you can hook up with running groups to get going for a few weeks/months, post which based on your goals, health conditions, motivational factor, and running experiences you can talk to a coach and subscribe to a program accordingly. On a personal note, I don’t believe in short-term coaching and programs. A relationship with a coach should be beyond excels and someone who understands you as a person to help you reach your fitness goals on the long run and not just pushing you hard for next your next 10K. As a coach, I give a good morning ring to my trainees and push the motivation from my side than leaving it with them. Meanwhile, bid your time before you hire a coach, determine the costs and when you do so ask yourself can you sustain the cost for longer periods? Is the coach emphasizing too much on money? Does the coach hear you out? Ultimately, you are trusting your coach with your life to a certain extent. Hope you make a well-informed decision. Running and fitness is simple. Let’s make it affordable, low-cost, sustainable, and accessible. There are way too many people sitting on the couch who can do a lot more for their own health and better life. Let’s not see them as cash cows, but instead strive towards doing good work for better and healthy lifestyle. This is good stuff. And i agree with pretty much everything that Shreyas has shared. There’s too much marketing going on around running and many people fall easy prey to it. Shreyas, would be great if you could share some of your recommendations on the shoes. Too much confusion there. Also read another article about you and your journey. Quite inspiring. Keep it up. Kalenji Shoes: Decathon- worth a try.